Cataracts are one of the leading causes of visual impairment in the world. A cataract is a clouding or opacity of the natural lens inside the eye. The lens is located just behind the iris (the colored part of your eye). It functions somewhat like the lens on a camera, focusing the light that enters your eye onto the retina. When the lens becomes cloudy, however, it prevents light and images from passing through to the retina, impairing otherwise healthy vision. 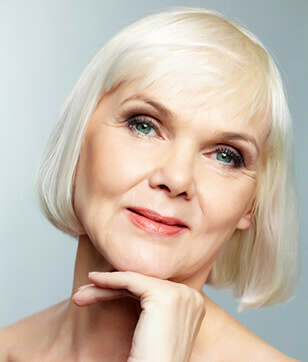 By far, the most common cause of cataracts is the natural aging process. It accounts for over 90% of all cases of cataracts. Medications (such as steroids), trauma, diabetes, genetics, and ultraviolet light can also contribute to the development of cataracts. The development of cataracts varies from person to person. 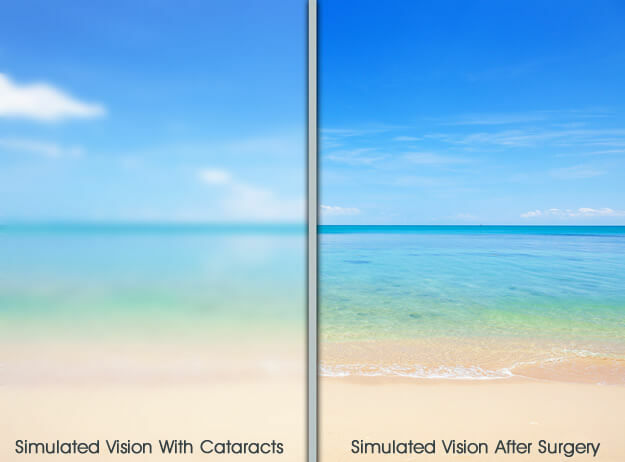 A cataract is the natural deterioration of the eye’s lens over time. This condition usually begins at the age of 40 when the natural lens loses its flexibility, reducing the ability to change focus from near to intermediate to distance vision and back again. As a general rule, most cataracts develop slowly over time, from months to years, before they mature enough to affect vision and interfere in daily activities. In the case of a traumatic cataract, however, the condition will result in a rapid clouding of the lens. The presence of a cataract alone doesn’t strictly indicate the need for cataract surgery. Many cataracts are mild and require no treatment in the absence of significant symptoms. If cataracts are not interfering with daily activities, Dr, Selem will simply observe and monitor them, but when vision diminishes to the point that daily activities are affected, cataract surgery is necessary. While this prospect often frightens some patients, the opportunity to restore clear, sharp vision makes cataract surgery one of the safest and most successful operative procedures. Patients are amazed that they can often see better the day after surgery than they have in many years. Phacoemulsification is the most common and standard surgical technique with intraocular lens implantation for cataracts. Phaco uses ultrasound energy to break the cataract and shell it from the eye. An intraocular lens implant is then positioned in place of the natural lens. The recently FDA approved ReSTOR® lenses help patients focus at different distances and decreases their need for wearing reading glasses. Most patients recover quickly and are able to resume their daily activities in approximately one week. Once diagnosed with cataracts, patients should inquire whether they qualify for the ReSTOR® lens implant. The ReSTOR® IOL distributes light over five optic zones for enhanced restoration of visual function, enabling patients to rely less on their glasses and contacts. In long term results, ReSTOR® lenses show a 90% decreased dependency on glasses after surgery compared to monofocal, or single vision lenses. ReSTOR® IOL matches the performance characteristics of traditional treatments with the lifestyle demands of the patient, and most patients resume their activities the next day with very few limitations. Dr. Joseph Selem uses the most advanced “No Stitch, No Patch” Phacoemulsification to remove your cataract through a very small incision. Phacoemulsification employs ultrasound energy to break up, or emulsify, the cataract and then gently suction it from the eye. Since no sutures are used during the surgery, the visual recovery is much faster and only minimal downtime is required. Most patients are not required to wear an eye patch and can return to work, driving, and regular activities the day after surgery. Cataract surgery is performed on an outpatient basis. After you receive medication to help you relax, the eye is numbed, so the procedure is essentially painless. During surgery, a tiny incision is made into the clear cornea, and the cataract is removed with a specially designed ultrasonic probe. The “phaco” probe simultaneously breaks the cataract into little fragments and vacuums the tiny fragments out of the eye. After the cataract is removed, an intraocular lens (IOL) or “implant” is placed in the same natural lens capsule that held the original lens in place. With advances in technology, we are proud to offer laser cataract surgery as a cataract treatment. Cataract laser surgery is performed following the same steps as traditional cataract surgery but with the aid of laser-assisted technology. Small incisions in the eye can now be made with laser technology, resulting in smaller, more precise incisions. Laser-assisted cataract surgery also can be used to soften a cataract before removal, which makes it easier for the lens to be safely and gently removed from the eye without damaging surrounding tissue. Dr. Selem can accurately place your new lens using laser-guided technology to ensure the best laser cataract surgery results. An intraocular lens (IOL) is a small, artificial lens that is implanted in the eye during cataract surgery. Monofocal lenses are most common, but patients will generally need glasses for reading and/or correction of astigmatism after surgery. Recently, the FDA has approved a number of new, advanced intraocular lenses that can provide better results than monofocal lenses by correcting vision problems such as presbyopia and astigmatism. Presbyopia is a natural part of the aging process, beginning around age 40. In aging patients, eye lens’ flexibility decreases, resulting in a diminished ability to switch between near and far vision. The Miami Eye Center is proud to offer the most advanced intraocular lenses to correct presbyopia. We regularly implant the ReSTOR® to correct presbyopia in our patients during cataract surgery. In cases of astigmatism, the cornea is curved more in one direction than another. An astigmatic cornea is shaped more like a football than a baseball. Because of this irregular shape, some light rays do not focus clearly on the retina, resulting in blurred vision. At the time of cataract surgery, a special implant can be inserted to reduce astigmatism. During cataract surgery, the Miami Eye Center can provide AcrySof® Toric IOL for the reduction of astigmatism. Ask Dr. Selem if Acrysof® Toric IOL is right for you! At Miami Eye Center, Dr. Joseph Selem will meet with you during your private consultation to assess your individual situation. 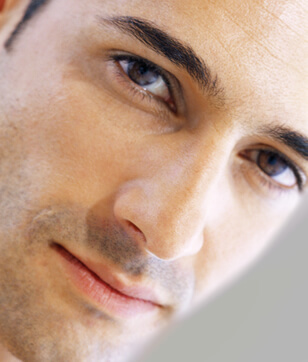 Dr. Selem can help you decide if cataract surgery in Miami is right for you. See the beauty in yourself and the world around you in crisp, clear detail today! Request an appointment online or call Dr. Joseph Selem and the staff at Miami Eye Center at 305-444-0221 to schedule your private consultation.